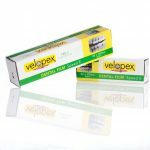 Velopex Radiographic Chemical consists of a high quality formulation with excellent processing performance. 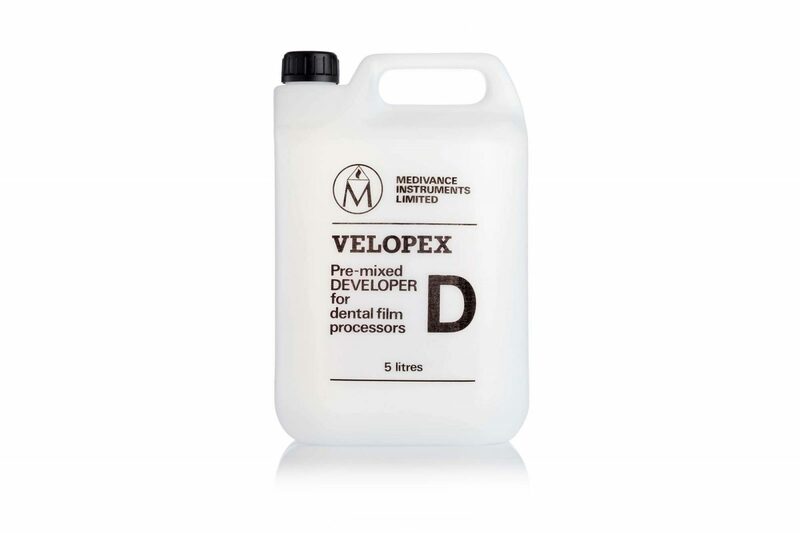 Velopex Chemicals can be used for both manual and automatic processing and are recommended for use in all Velopex Automatic Processors, while also being suitable for use in most other machines. 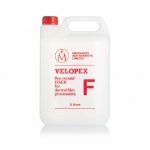 Velopex chemicals benefit from excellent longevity, deliver consistently high quality images and are available in 2 concentrations. Velopex Ready-To-Use solutions are pre-mixed for ease of use. They are supplied in 2 x 5L bottles, for a total of 10L, and are ready to start processing x-ray images straight away!